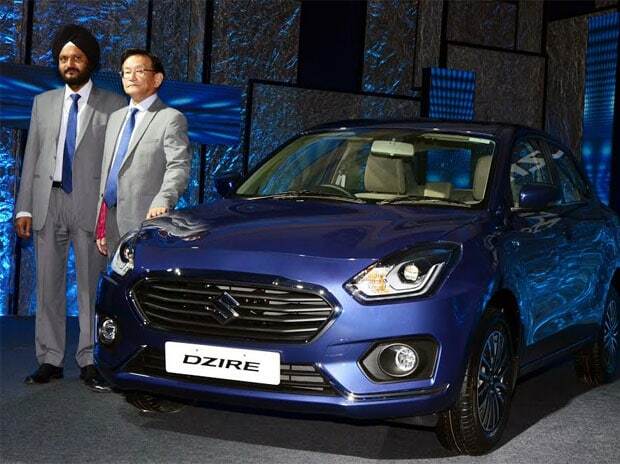 The country's largest car maker Maruti Suzuki India (MSI) today launched an all new version of its compact sedan Dzire, priced between Rs 5.45 lakh and Rs 9.41 lakh (ex-showroom Delhi). The petrol variant begins at Rs 5.45 lakh and goes up to Rs 8.41 lakh. Diesel variant begins at Rs 6.45 lakh and goes up to Rs 9.41 lakh. 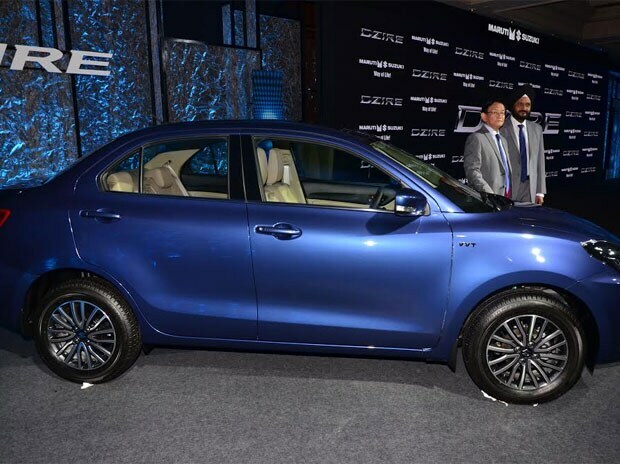 Maruti spent Rs 1,000 crore to develop the new Dzire. 1. First launched in 2008, Dzire happens to be Maruti’s second most sold car (after the Alto) and brings 14 per cent of the company’s domestic sales. Dzire also is the largest selling compact sedan in the country accounting for half of the segment volumes. 2. The new Dzire offers a higher fuel efficiency of 5.5 per cent and 6.8 per cent on the petrol and diesel variant, respectively. Diesel Dzire claims to give an efficiency of 28.4 km/litre while petrol offers a mileage of 22 km per litre. 3. Bookings for the new car started early this month and the company has already got bookings of 33,000 cars. Deliveries will start immediately. 4. Dzire is critical for the market leader as it eyes an annual volume of two million cars by 2020 (it sold 1.56 million vehicles in FY17). 5. 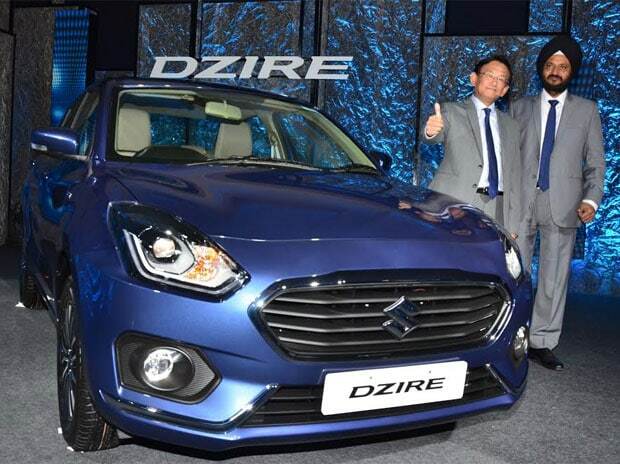 With this launch, the Maruti wants to position Dzire as a vehicle distinct from Swift which happened to provide cues for the initial model when it was launched in 2008. The new model is now called Dzire and not Swift Dzire as it seeks to break away from the Swift association. The first generation of Dzire was seen as a Swift with an additional boot space. Strategically, the company is bringing the full model change of Dzire first and the new Swift may come next year. 6. 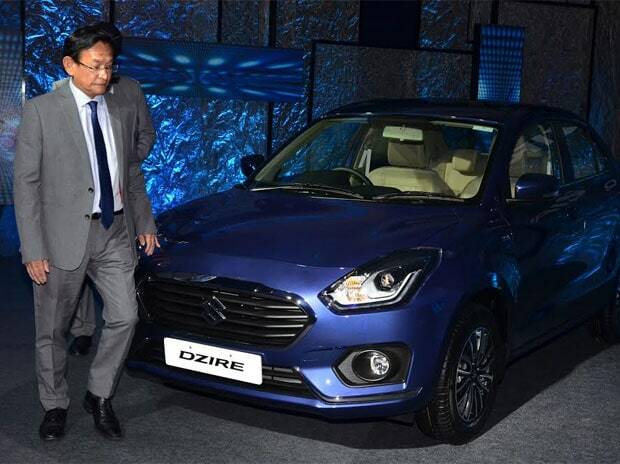 Dzire competes with Hyundai’s Xcent, Honda’s Amaze and Toyota’s Etios. The latest product to enter the market has been Tata Motors’ Tigor. The closest competitor of Dzire is Hyundai’s Xcent, which clocked annual volume of about 47,000 units. 7. The new Dzire is highly contemporary in design, has a wider front and sports additional features to the outgoing model. 8. It is lighter in weight (up to 105 kgs) and therefore offers higher fuel efficiency. 9. The diamond cut alloy wheels enhances the appeal. This Dzire also has rear air conditioning vents. 10. The new touch screen infotainment system has Apple CarPlay and Android Auto. Maruti aims to enhance the product value through its new design language and appeal to buyers in late 20s and mid 30s.